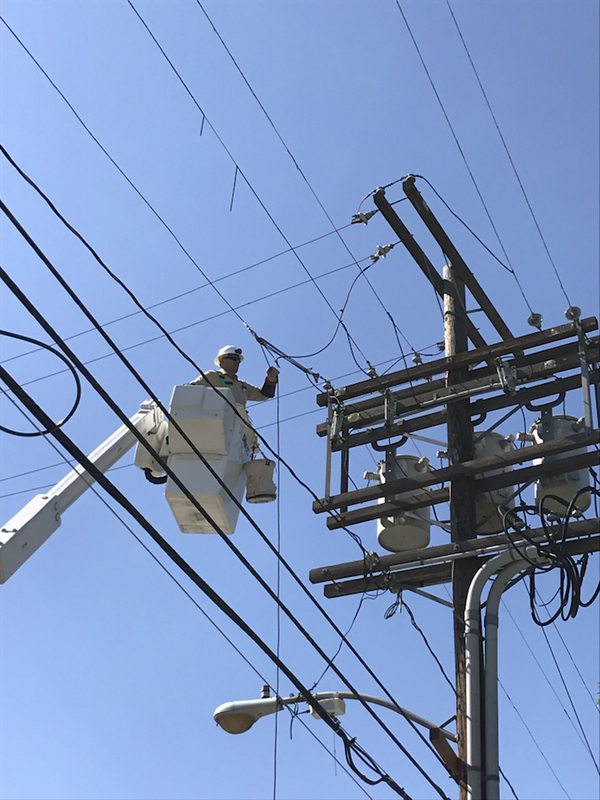 LOS ANGELES (April 10, 2019)–LADWP crews continue to work to restore power to customers affected by outages caused by sudden and strong winds that began Tuesday evening and intensified overnight. Customers affected by wind-related outages peaked at 49,000 overnight. As of 10:45 a.m. today, the number of customers without power is down to 29,000 out of 1.5 million customers served by LADWP. Since the start of high winds, crews have restored power to over 20,000 customers. While winds have subsided, making for better working conditions for crews out in the field, we continue to receive new reports of downed power lines and other wind-related outages that occurred overnight and went unnoticed or unreported until this morning. Due to the high number of outages requiring repairs, customers should plan to be without power for up to 24 hours, from the start of their outage. While some outages will take less time to restore, others could take longer due to the complexity of repairs. Our crews will work around the clock until every customer has their power back on. Most affected neighborhoods are in the “Metro” portions of LA, located south of the Hollywood Hills. Currently, communities most affected by the outages include portions of South LA, Mar Vista, Mid-Wilshire, East-Hollywood, Hyde Park, Green Meadows and Koreatown. LADWP will continue to provide regular updates via Twitter and on the Nextdoor.com social media platform. Customers should follow us on Twitter @LADWP and check your Nextdoor accounts for updates. Customers experiencing an outage should report it online at www.ladwp.com/outages from a desktop computer or mobile device or call 1-800-DIAL-DWP (1-800-342-5397). We appreciate our customers’ patience as our crews work as safely as possible to restore power as quickly as they can to affected customers.